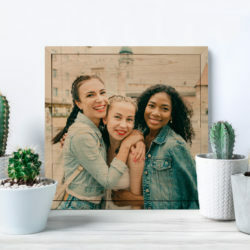 Instagram selfies to professional wedding photos, and everything in between, look incredible on a 20×20 Shimlee photo wood print. This sizes looks great as a standalone piece or pair it with other Shimlee sizes to create a collage that showcases your favorite memories. 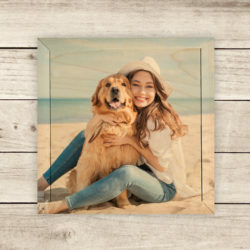 Get those Instagram photos off your phone and into your home on a 12×12 Shimlee photo wood print. It’ll be a show stopper, an attention grabber, and a conversation piece. Small enough to be an accent piece, large enough to showcase the beauty of real wood, and just the right price. The 12×12 is a win-win-win! Talk about unique! The 24×12 staggered Shimlee photo wood print is an absolutely awesome way to showcase your best memories. Position your photos perfectly, and let the staggered shimlee bring them to life. 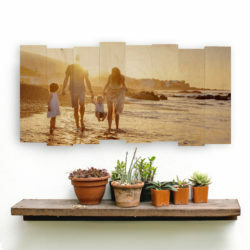 Let our real wood 24×12 Shimlee photo wood print do showcase your favorite vacation, family photo, or destination. The landscape print will bring the most captivating scenes to life and take you back to that extraordinary moment. 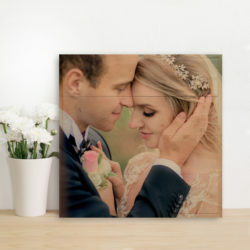 Let your favorite memories make a big statement on 16×20 Shimlee photo wood print. Large enough to be a stand alone piece, yet the perfect size to pair with other Shimlee prints in a collage. You cant go wrong with the 16×20! 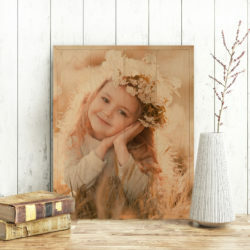 Liven up your home or work space with a 6×6 Shimlee photo wood print. Buy one to put on your shelf or desk, three to make a statement, or nine to make a unique gallery wall for any room.